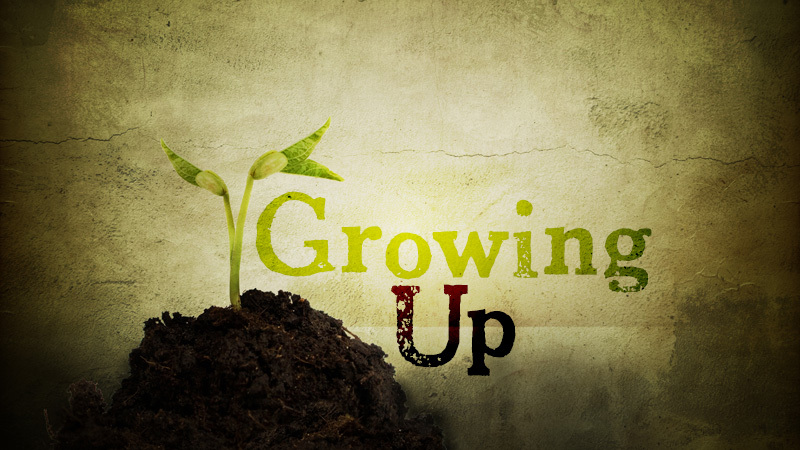 Most of you know that the majority of churches in the US are either plateaued or declining. Level 1 represents a church that is declining, and Level 2 a plateaued church. Level 3 is a church that is adding members. Most churches are trying to go from a Level 1 to a Level 3. One problem with this is that declining churches tend to continue to decline. Another problem is that the rate at which Level 3 churches add members is too slow to keep up with the population growth rate. The techniques used by a Level 3 church are widely known, but are only actually successful in a small percentage of churches. Most Addition Churches have a dynamic preacher and an excellent Sunday worship experience, and its members are constantly encouraged to invite their friends, family, and co-workers to the service. The reason this only works in a small proportion of churches is because most churches cannot pull off the best worship service in town and they don’t have the best preacher. The other common addition techniques used are big programs, productions, or events. These are shown to have minimal to no results, and they are contingent upon a big budget if done correctly. If you find yourself in a Level 1-3 Church, you will find yourself spending the vast majority of your time talking about Sunday mornings and the next big events. A Level 4 Church is a Reproducing Church. Once a church beats the odds and becomes an Addition Church, they begin to talk about multiple services, or they begin to talk about multiple campuses, which is a common trend right now. They, also, might talk about church planting. These are all positive things as multiple venues, new campuses, and new churches all reach new people. The problem is still the same, though. We are using addition, instead of multiplication, and addition will never be enough to complete the Great Commission. The mistake that is made is in thinking that we are to build the church, but that is not the case! Author, Neil Cole, said that we are called to make disciples; it’s Jesus’ job to build His church. This is a complete paradigm shift from what is taught and modeled. Author, Alan Hirsch, explains that what gets you to a Level 3 church will never get you to a Level 5 church. A Level 5 church is a Multiplying Church. It is more of a movement of churches. As a matter of fact, missionaries around the world in places like East Asia and South Asia describe a “church planting movement” that looks nothing like our typical churches in the West but which are exploding faster than anyone can keep up (see Garrison, Church Planting Movements). A Multiplying Church is described as a movement that has third or fourth generation churches that know nothing of the parent church. In order for us to complete the Great Commission as commanded by Jesus, we have to start thinking multiplication and trusting that making disciples is the strategy. Here’s how it works… We are told that we ought to give 10% of our income to the church. That fraction of our income goes towards many things to make sure the church is operating, mostly towards ministries directed to the spiritual growth of its members. Depending on the church, a small percentage of that pot of money goes towards missions in some form or fashion. Usually about once or twice per year, the church takes up a one-time offering that goes towards missions preceded by tear-jerking videos to get us to give more. This is how the church in general has operated for quite some time. I just do not find this model of church the most God-glorifying or the most Biblical or adequate to complete the Great Commission. Our tithe (10%) to the church is based upon an Old Testament principle. There is certainly nothing wrong with giving away a portion of your income, and an argument can be made that this is a Biblical principle. However, Jesus never commanded the tithe. Jesus always asked for more, specifically everything. He asks us to give our whole lives for the mission, not a token amount. In talking about money, the least that Jesus ever seemed to be satisfied with was when Zacchaeus said he would give half of his money to the poor and pay back anyone he cheated four times over (Luke 19:1-10). Most of the time, Jesus asked for everything when someone wanted to follow Him. All across the world our churches are full of Godly people that are wise business people, savvy investors, and risk-taking entrepreneurs. What we teach and ask of these people is to simply give 10% of their income to the church. The rest of the money that they earn is theirs to spend as they please. Understand that I am not suggesting that God is calling all of these people to give every last penny to the church. What I am suggesting is that God is calling them to leverage their lives, gifts, and talents to be the most effective for completing the Great Commission. If that means they give all of their money away, then so be it. But what if, however, they are given the opportunity within the church to use their talents and gifts to make money for the mission of the church. Instead of a one-time gift of all their finances, they create significant income streams for the express purpose of financing the work of missions now and into the future. We allow this for all sorts of people in our churches. If you have the gift of teaching, you are signed up to teach! If you are gifted with children, we have a spot for you! Why not tent-makers (entrepreneurs)? This idea of churches creating income streams to support missions is not without precedent. There is a church nearby who started a popular coffee shop in order to fund their orphanage in another country. There is a church who started a thrift store to supplement their mission budget. There is a church that started a bakery to provide local jobs to former prostitutes and exotic dancers and provide funds for their mission endeavors. The examples go on and on, but these examples are generally what we see: small-scale businesses making a small impact. I am not saying that these smaller impacts are not significant. I am suggesting, though, that we use these as catalysts to think and dream bigger. What is keeping a church from bringing those gifted in business together to start a large, multi-million dollar company to support missions? The difference between the two is not that one is Biblical and the other not. It is simply a matter of scale. A former leader of our denomination said correctly that for whatever reason God has tied finishing the Great Commission with finances. There is still a great need for cross-cultural missionaries, Bible translations, discipleship material, etc. All of these things cost money. The solution that is always presented to our churches is that we need to give more donations. This will just not provide the amounts that we need to finish the Great Commission at the rate at which we are going. We must dare to dream bigger! In Revelation 22:18, we are warned not to add anything to the scriptures, but many Christians, by their actions, have added a parenthetical statement to the Great Commission. We will go and make disciples of all nations, if it is not dangerous. Every year our church sends 300+ people on mission trips all over the world. One of our longest-running partnerships is with a fantastic orphanage in Honduras, and the perception of this particular trip is that it is perfectly safe. We also send people to countries in Central and South Asia where persecution of believers is happening, and these countries always strike more fear with our people. The funny thing is that out of all the countries we go to, Honduras is only one of two countries that have a specific State Department warning against traveling there. The reason Honduras is perceived as safe is because it does not make the nightly news. The truth is that Honduras has one of the highest murder rates in the world, and kidnapping of Westerners increases every year. Crime like this does not make the headlines. Terrorism is the popular news item of the day, and by its nature terrorism affects a very small amount of people in order to scare the masses. For many Christians, the terrorists have won. Before we took our very first trip to a country in Central Asia, Osama Bin Ladin was killed. Many people called the church telling us that we should cancel the trip. The country we were going to was not even near where this occurred. For many Christians, terrorists and fear are the determining factors on whether or not to follow the commands of Jesus. It always surprises me that parents will worry to death about sending their students on an international trip to a very safe location, but they will not hesitate to go on a family vacation to a large city in the US. Some of the most dangerous cities in the world are found within our borders and are major tourist destinations. As a matter of fact, some of the international places we go to have lower rates of crime in the entire country than some individual cities in the US. The point is that there is inherent risk in traveling anywhere. Going and making disciples of all people groups is inherently risky and could be dangerous. This, however, does not negate the command of Jesus. In the very same breath (one verse later in Matthew 28:20) Jesus gave us the promise of His presence. In the comfort of that Presence, there is no space for fear! Knowing that Jesus was with them, even through the most dangerous circumstances, the disciples and millions of known and unknown followers of Jesus after them charged the front lines without regard for their own safety so that the vast numbers of lost might hear of the grace of Jesus Christ. The question is simply, will we fearfully stay in disobedience or courageously go as light piercing the dark? I have recently been taking people in our church through a mental exercise that seems simple at first, but eventually really challenges our assumptions about missions, especially local missions. I will start out explaining to the group that we have all been called to move overseas to work with an unreached tribe. I then ask them to begin listing all of the things that we need to do to reach that tribe for Christ. This is very simple as we list things such as church planter training, language and culture acquisition, moving there, building relationships with people, sharing the gospel, etc. It seems that many people understand the concept of missions when we are talking about a foreign place or even simply moving to another town. 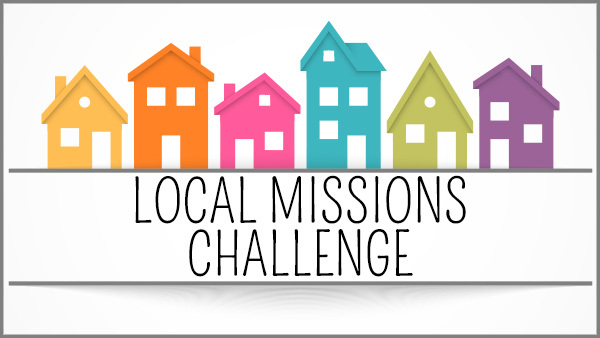 The trick is when I turn the conversation into how do we go about doing missions locally where we live. Minds begin to blow up at this point. We have been trained that missions is really done by a specially called and trained minority of Christians that move somewhere to do it full-time. When asked about what we can do locally to reach people, we usually think of one-shot good deeds, like feeding the homeless. Missions is easy if all we have to do is go to a particular place one Saturday morning and hand out some food, but is that really missions? We have already seen what missions looks like when a missionary moves to another country. We understand that! So, the question is… Why is it so hard to transfer our strategy for reaching an unreached tribe to reaching the homeless that live in our home town? I think the answer is that we do not see ourselves as missionaries. It is easier to go do a good deed on Saturday morning, feel good about ourselves, and make it back in time for the good football games. I believe that we all need to shift our thinking towards the fact that Jesus’ commands were not for a spiritually elite, but were for all to obey. We must learn to see ourselves as missionaries where we live. The goal of any missionary is to see a reproducing, indigenous church. The goal should be the same for a believer working with the homeless in their home town. We need to ask greater questions than just… How do I get someone’s belly full for a day? We need to be asking questions such as… How do we most effectively share the gospel with the homeless? How do we make them disciples? We need to apply the same strategies used in reaching an unreached tribe to reach the homeless, such as… getting trained, learning the culture and language, moving there, building relationships, sharing the gospel, etc. The realization that I am a missionary changes everything. It changes how I view my work or vocation. It changes how I interact with my neighbors. If I truly am a missionary, God has sent me into the neighborhood in which I currently live. The easy part is that you already know the culture and language. That takes foreign missionaries years to acquire. Maybe you just need some training, and you definitely need to introduce some intentionality into your missionary living. As a missionary, you can no longer just let your kids sign up and play soccer. You now must understand that in God’s sovereignty He has placed your child on that particular team, because He wants you around those particular parents in order for you to be His ambassador of reconciliation. You must also train your children in the Lord by teaching them that God has placed them as a missionary on that team. I hope you see how powerful this change or shift in perception is. I believe that if just a small fraction of believers would understand and implement this lifestyle, it would change our city. 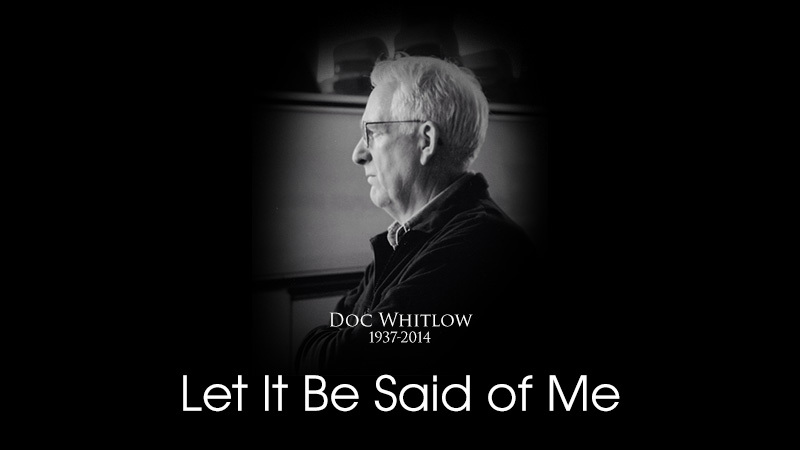 On July 28th at about 10am my family and I were driving to Moab to go see Arches National Park when I received an email saying that Charles Whitlow had passed away. It was not a complete shock as he had been battling cancer for quite a while, but I don’t think anyone is ever truly ready for the inevitable. For as far back as my memory takes me, I remember Doc being in church and always coming or going on some mission trip. Little did I know, at the time, what an impact he would have on my life. Doc was one of the strong influences on my life for stepping into the Great Story of God and following the command of Jesus to go and make disciples of all nations. He was on my first trip to Tanzania. It was on that trip that I called Jennifer to tell her that this is where we are moving. I will never forget the last words that Doc and I shared in the lobby at church before I was to leave on another mission trip just a few weeks before he passed away. As we both cried, he hugged me and talked about how moving it was to see all of the people going out into the mission field from our church. Doc’s legacy is a huge part of why the flame of missions burns so brightly in Grand and in my life. I went to Doc’s funeral just this past Monday. I actually brought my boys to this funeral, because I knew it was going to be different. Doc certainly did not disappoint. Passed out at the doors was an insert of words that Doc wanted to leave people with, and those words spoke boldly of the love of Jesus being the fuel for mission’s flame. His youngest, Stuart Whitlow, shared the funeral message and did a masterful job of not only honoring the man but honoring his God above all. He spoke of how his Dad was compelled to go, not just for the sake of going, but because of his passionate love for his Savior, Jesus Christ. He concluded his funeral message with the words that you would best honor Doc by going. On that long road through the high desert of Southern Utah, I remember thinking about funerals in general. Most funerals typically make people think about their eternal destination, and rightly so! But I knew that Doc’s funeral was going to go farther. Doc’s life challenged believers not only to look forward to eternity with God in Heaven, but challenged them further to do the impossible for God while still in these mortal bodies. Jesus did not die on a cross for me so that I could just enjoy eternal security. He died and was raised to life so that I could be apart of His plan to redeem a lost world. Doc lived that life to the fullest, and I know he has now reaped the rewards of his service. That is the funeral I want. When I die, I want people to be challenged to go. I want revival to come from my death if it will not come from my life. Whatever, whether in life or death, let it be said of me that I gave all for my Savior who gave His all for me. 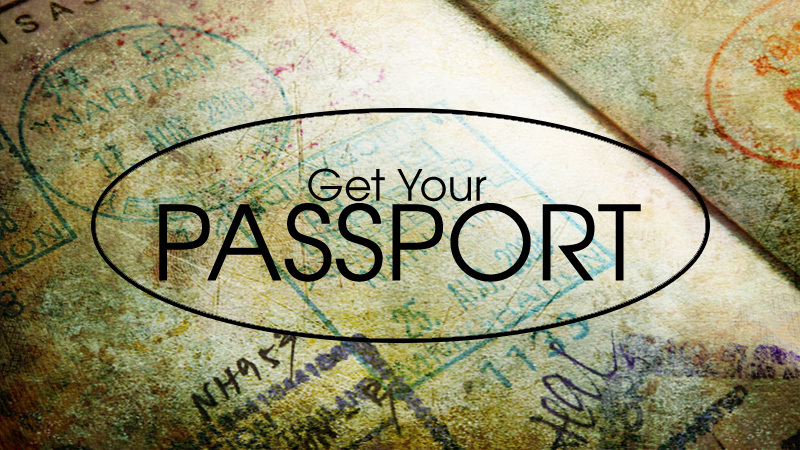 Every Christian should have a passport. Jesus commanded us to go and make disciples of all nations, so we should always be going. Jesus provided no loopholes or gave any free passes. He simply commanded us to not only go to Jerusalem, Judea and Samaria, but also to the ends of the earth. In the Gospels, I never see Jesus talking about staying, but rather sending. Somewhere along the way, we have made missions an optional activity where just a select few are called. This is contrary to everything in the Bible. We are very clearly called, and Jesus even spells out in a number of verses where we are to go: the nations, the ends of the earth, every tribe, every language, etc. If we are all called to go, then the special calling should be to stay. We have it backwards. We tell God that we will go if He calls us, but He already has called us! We should not be praying about whether or not to go. That has been settled. We should only be praying about where we should go. If, in the midst of praying about where you should go, God calls you to stay, then by all means stay! I have often been accused of using guilt as a tool to try and get people to go. When I was growing up, I loved sugar. I would actually sneak into our kitchen, get our sugar jar, and eat a mouthful of white sugar. Of course, my mom caught me one day and told me to never do that again. She did not just tell me no because she was mean – she knew it was bad for me. When I did it again, I was guilty. No one would say I was innocent. I disobeyed my mom! Guilt is not a bad thing. It becomes bad when we dwell in that guilt and not embrace the forgiveness and freedom that is found in Christ. Guilt is used by the Holy Spirit to initially lead people to salvation, and later to help us mature in our faith. If I am accused of using guilt, then I’m guilty as far as I am trying to make people aware of the commands of Christ. That is all I can do. It is the Holy Spirit’s job to convict us of sin. If someone is not following the commands of Jesus, then he is guilty of disobedience. When we hear Jesus command us to go and make disciples of all nations, our first reaction should be, “Ok, Jesus, where?” Any other response is disobedience. When we hear Jesus say that as the Father has sent me, I am sending you, our response should be, “I’m ready, just tell me where!” Any other response is disobedience. Our timing is key as well. Delayed obedience is still disobedience. If I told my mom that I was going to wait a couple of years to obey her sugar law, I am guilty. That is not obedience. God is calling you to obey His commands now – not when the kids are grown up a little more – not when you have more money – not when things are a bit more stable. God wants your obedience now. The bottom line is if you truly trust God or not. Do you believe that He has the best in mind for you and for His glory? Do you believe that His command to go is not arbitrary, but has a purpose? If you answered yes to the two previous questions, here is the hardest: Will you do anything He says and go anywhere He points? If you have not gotten a passport, why not, as an act of saying to God that I am ready to go anywhere, get started on the application process? I just got back yesterday from a trip to Dallas, Texas, where we worked with Bhutanese Refugees. These are always fantastic trips! We have teamed up with Chris & Cheryl Read who have volunteered much time and effort to help the Bhutanese out. We took a total of eight people with us on this particular trip. We drove down to Dallas on Friday afternoon and arrived to a great ethnic meal cooked by our Bhutanese friends. The next day we spent going to different apartments to meet new Bhutanese refugees, many of whom have only been in the US for less than three months. Our desire was twofold: 1. to begin relationships with these new folks and connect them to the local Bhutanese Christian community and 2. to encourage our fellow Bhutanese workers to do outreach themselves. The last time that we went to Dallas, we went over to new people’s apartments bearing many gifts to help them get started on their new life in America. I was pleasantly surprised to find out when we arrived this time, that the Bhutanese believers did not want us to bring any gifts with us at all. Their reasoning was that the gifts only serve to spoil the people. They have seen that all of these well-intentioned ministries have created a culture of enablement. Instead, we were just going to bring ourselves and God’s love. I see this as a positive sign that the Bhutanese Christian community is maturing in their faith. They are growing up into a wonderful church, and it is encouraging to see. It really was an incredible weekend. We ministered to many people by praying for them and just hearing their remarkable stories of living in a refugee camp for twenty years. We saw many connections made between Bhutanese Christians and Bhutanese Hindus. We were also blessed to get to encourage a new church plant of about 40 Bhutanese. We were able to take their youth out bowling and to eat pizza. We intended to worship with them on Sunday morning, but the weather forced us to leave before the service started. Please, email me if you are interested in this work. Our intention is to take about three trips to Dallas per year.